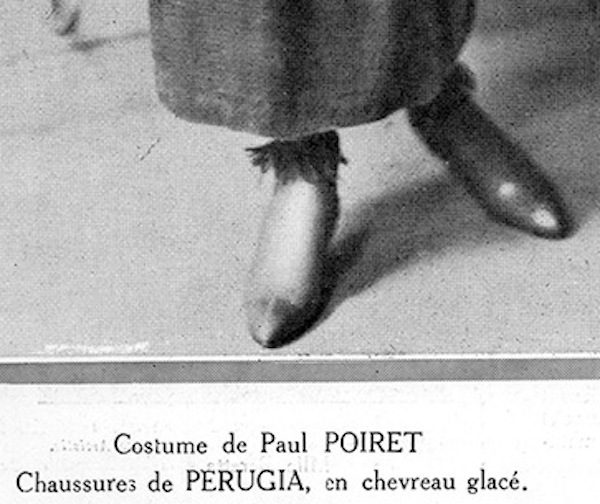 Perugia's series of little boots were unmistakably inspired by his designs of the Poiret period. The Demi-Bottine is higher than a pump, lower than a boot. The Button Boot has the look of the earlier style, without the need for a buttonhook. And in the Circlet Boot, mink replaces fringe and Lastex does the job of both leather and shoelaces. 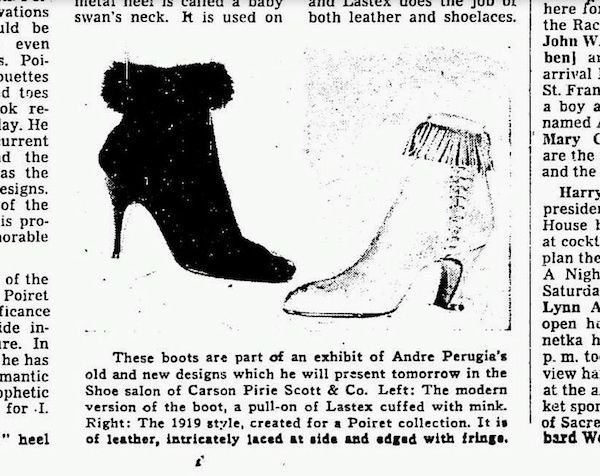 These boots are part of an exhibit of Andre Perugia's old and new designs which he will present tomorrow in the Shoe salon of Carson Pirie Scott & Co.
Perugia, leading Paris shoe stylist who designs for I. Miller, feels that romantic and dramatic looking booties are right in style with the new winter clothes. The smartest modern version of an old fashioned style is a “slip-on bootie” made of latex, just like girdles. Slender in shape and of ankle-eight, it is trimmed with a mink cuff for extra luxury. Originals and adaptations to be displayed include fur-topped boots, the demi boot with its '56 version sleeked by the use of new Lastex yarns, a tailored step-in for evening, the flattering little shaped heel, court buckles, Turkish-inspired styles and new metal "free form" heels adding a jewelry look to luxurious' fabric shoes. One of the most striking things about modern shoes, besides their variety, is their comfort and lightness. Take, for instance, a pair of "half boots" as Perugia (Perrugia in the original text) calls them, for wear with the tailored suit. They are of the thinnest kid, dyed especially to match the color of your tailored suit or its accessories. 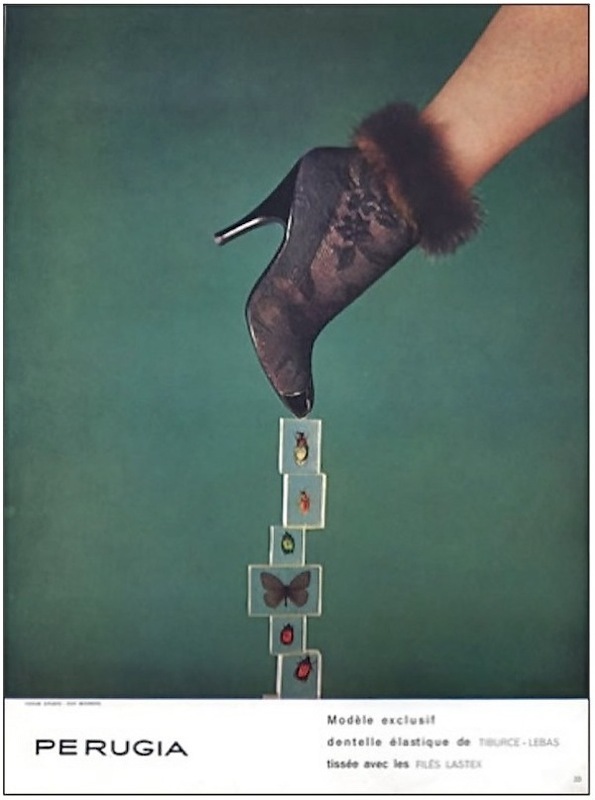 They fit the foot very exactly, as perfectly as a made-to-order glove fit the hand, and with this delicate fit they envelope the foot as high as the ankle, where they turn over and break into a fringe, which hangs down and flutters as only fringes can. 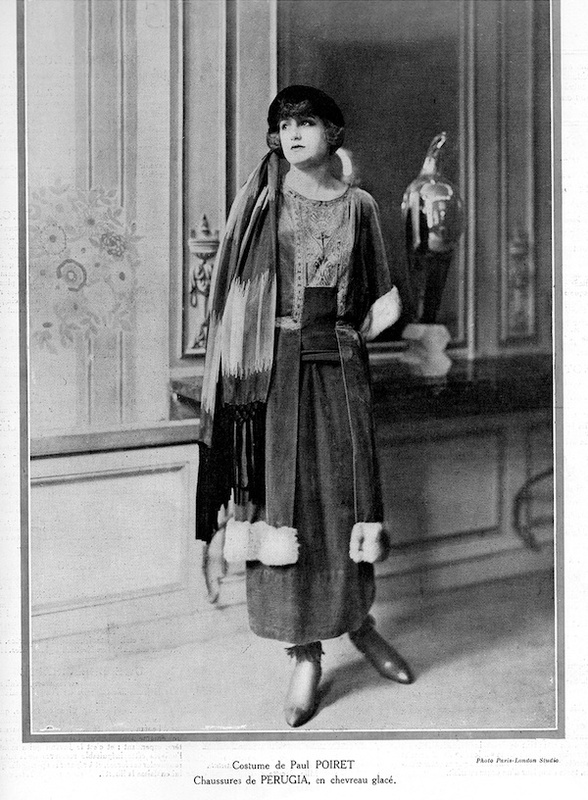 The Sunday Times date is a more likely than the above mentioned 1919; here's the described fringed boot from the Poiret collection dated 1923 as seen in Comoedia magazine.